It’s commonly agreed that tennis evolved from a 12th century game called “Jeu de Paume” or the “game of the palm”, in which players hit a ball back and forth over a net with their hand and that the word “tennis” comes from the French word “tenez”, which means “play”. But although the game has been around in one form or another for nearly 900 years it wasn’t until 1873 and the development of lawn tennis that it took on a shape we would recognize today. About that time the first true wooden tennis racket appeared. They would remain the standard for nearly a century until the late 1960s and the advent of the steel racquet. From there the tennis racquet underwent rapid evolution first with the introduction of the over sized head (with its larger ‘sweet spot’) and then with the development of various lightweight materials. Today, tennis rackets are lighter, more durable and more forgiving than ever and the right racquet can very much be the difference between winning and losing. 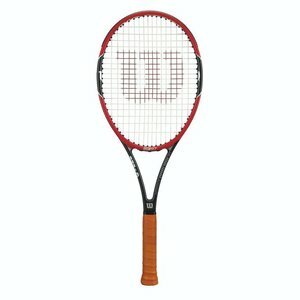 Below we’re going to look at the best tennis racquet offerings on the market today, how the beginner can choose the right racquet and just what separates a good racquet from a great one.There are more options we dedicated you with comparison chart to complete your kit with best Tennis Shoes, Tennis racquet bags and with silent partner of tennis ball machine. When you’re first learning the game you don’t need the same racquet Roger Federer or Rafael Nadal need. You need something that’s well balanced and can hit to tennis balls easily, has a generous sweet spot, is light and won’t drain your bank account. The Liquidmetal 8 from Head is just such a racquet. 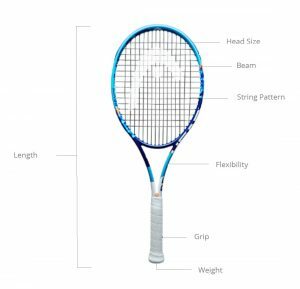 It’s a racquet that comes pre-strung with Head Synthetic Gut and it’s a great racquet for anyone looking to perfect their mechanics, learn the fine points of spin and master the serve. This is a forgiving racquet that makes things easy on the beginner and intermediate player and allows them to develop their skills naturally. Racquet comes pre-strung with Head 60 lb synthetic gut. Large forgiving sweet spot allows for optimal force projection. Liquid metal technology provides excellent power upon impact. Minimal string vibration due to No Shox damping system. HydroSorb grip permits airflow and no-slip comfort. If you’re relatively new to the sport you’re not going to be charging the net or slamming 2-handed backhands to the far corner at 100 mph. You’re going to be working on the mechanics of your swing (and that little thing called ‘follow through’) and figuring out how best to position yourself in anticipation of your opponent’s return volley. As such, what you need from your racquet is balance and a forgiving nature. The Head Liquid metal 8 has both in spades. Even seasoned vets will appreciate that you don’t always need to make perfect contact with the ball in order to produce an impressive shot when you use the Liquid metal 8. Well balanced. Never feels like dead weight in your hand. Lightweight construction makes for more powerful swings. Oversized sweet spot will save shots other racquets might lose. The HydroSorb grip is as comfortable and effective as advertised. Extraordinary quality at such an affordable price. As you progress you may want to restring it. Might be a bit too light for more advanced players. The Liquid metal 8 is designed to be an extension of your body, not an anchor that weighs your arm down. So if you can create anything like reasonable contact you stand a great chance of extending the rally. With its large sweet spot and effective damping system the beginner will often find themselves making returns that used to fly off into space. Once you get a bit more comfortable on the court you’ll really appreciate the small but important performance edge the Liquid metal 8 provides and it may wind up being your preferred racquet for years to come. The K Factor Zero from Wilson is for those who want to get their relationship with tennis off on the right foot. This is a well-built, serious graphite tennis racquet that’s both lightweight and effective. Wilson’s proprietary brand of graphite is called Karophite and it’s used here to produce an affordable racquet with remarkable balance and stability. The generous 118 square inch head has an enormous sweet spot that helps keep those less than perfect shots in play. You’ll get a sure grip, an accurate shot and your arm won’t fall victim to vibration fatigue. Huge sweet spot will keep your rallies going. Perfect for those looking to improve their mechanics. Ultra-lightweight construction using Wilson’s Karophite graphite. Wilson’s open string pattern allows for more effective spin control. One of the downsides of using a lighter racquet is that you potentially forfeit some control. This however is typically only an issue with more seasoned players whose mechanics are second nature and who possess formidable arm strength. For beginners and intermediates their ability to shape a shot is not going to be well-developed. What they need is to master their basic swing mechanics and make sure the ball stays in play. Which is why the ultra-light construction of the Wilson K Factor Zero is the ideal choice for them. This is a racquet that’s built to keep rallies going which will in turn allow you to practice positioning and expand your return repertoire. What weight there is is well distributed and beautifully balanced. The 16 x 19 string distribution and oversized sweet spot allow for more effective returns. Great for beginners and older players who may not have tons of arm strength. Affordable excellence from one of the titans of tennis equipment. Up to 65% lighter than standard titanium racquets. Damping is not great on off center shots. String movement can be an issue if you’re really laying into your shots. 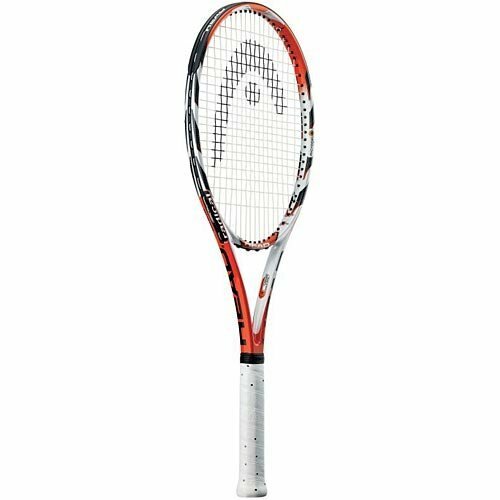 The Performance Value from Wilson is an excellent racquet for kids and intermediate players who want to keep those rallies going so they can work on other aspects of their game. Once you’re feeling more confident in your mechanics, positioning, posture and serving you might want to make a few tweaks to the handle and strings and keep it in your arsenal. It’s likely older, experienced players who may have lost a bit of arm strength will love this racquet as well and for the price who could blame them? The Wilson Pro Staff RF97 features a smaller head, additional weight and outstanding balance and control that betrays the behind the scenes influence of the great Roger Federer, who had a hand in its design (hence “RF” 97). If you’ve mastered the mechanics of your game your next concern is finding ways to deliver more powerful volleys that land with pinpoint accuracy. Standard beginner racquets simply don’t have the weight to do that, and their often laughably big sweet spot creates a head that is unwieldy. The RF97 Autograph by contrast is compact dynamite that assumes you’re going to hit each shot squarely and provides you the ability to project force in the most effective manner possible. There’s no mistaking Federer’s influence. Outstanding balance, outstanding control, aggressive design. Tighter head and sweet spot than beginner racquets. 16 × 19 string pattern for more effective topspin. String it the way you like it. It can take it. The Pro Staff RF97 feels like a serious racquet the minute you pick it up. You’ll be impressed not only by the heft but by the remarkable balance and how it seems to guide your arm through the shot. And that’s really what the RF97 is all about: control. If you’re using this racquet you’ve entered the refinement phase of your game where you’re just looking for ways to get more out of each volley so you can vanquish your opponent, not engage in hour long rallies with them. Dependably solid Wilson-esque feel on forehands and backhands. Oversized sweet spot compensates for technical shortcomings. Comfortable and well-balanced so a bit of extra weight is not an issue. Allows for outstanding plow through that will keep the opponent on their heels. Stable even when extending to get the shot. A bit heavier than other rackets in the same class. A bit more effort required on serves. 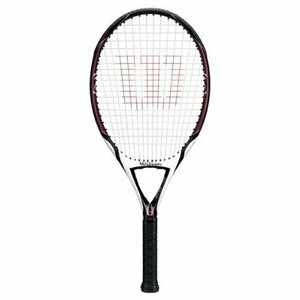 The Pro Staff line from Wilson is a serious racquet for serious tennis players who show up to win. Every shot provides that sweet feeling of connection like you get with a perfect golf shot and you’re able to guide those shots home to your intended location like never before. No more having your racquet bullied by powerful serves. No more fearing your backhand may not be up to the task. With the RF97 you create predictable tennis shots instead of hoping your volley will land inside the lines. Babolat has taken the tennis world by storm and their Aeropro Drive GT racquet reflects the combination of power and finesse inherent in the game of this racquets most visible proponent, the incomparable Rafael Nadal. The Aeropro allows the more advanced player to shape shots that whistle millimeters over the net before arcing into perfect landings in the corner of the baseline. If you’ve had difficulty getting much shape out of your backhands before the Aeropro Drive GT will help you create backhand winners that sink like Pedro Martinez curveballs and explode away before your opponent can reach them, never mind return them. Designed to defeat opponents not simply wear them down. Outstanding balance and control on serves, forehands and backhands alike. Smaller head size for greater stability and reduced vibration. Tungsten/graphite hybrid construction is light yet rigid. If you lack the overwhelming power of an Andy Roddick or Roger Federer there are still ways to overwhelm an opponent and the best of these is with finesse. Being able to craft shots that behave in unexpected ways is the hallmark of the finesse player and no one in the modern game is more adept at doing this than Spain’s Rafael Nadal. While the Aeropro isn’t going to turn you into Rafa overnight it will provide you a distinct competitive advantage once you learn how to utilize its many gifts. Control that will leave your opponent scratching their head. Feels solid whether you’re crushing a forehand winner or dropping a backhand deftly behind the net. Heavier than some but not so much as to be a detriment. Outstanding stability and effective damping. Slightly larger sweet spot than earlier iterations. Some might want a few more ounces to buttress those power shots. Make no mistake it’s a fairly rigid stick. The Aeropro has a 100 square inch head that’s large enough to be both forgiving and powerful yet small enough to provide the control you need to elevate your game. The woofer grommets on the head provide a few more milliseconds of contact between ball and string and this in turn enables greater control and more effective (and baffling) spin. Damping is generally excellent as you’d expect and the graphite and tungsten construction produces just the right combination of flexibility and rigidity (while leaning more toward the rigid). The Pure Drive has been an unqualified success for Babolat, flying out of stores and seemingly taking over courts from Manhattan to Madrid to Munich. So why would the company dare mess with success? 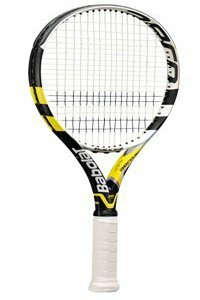 Well, the designers and engineers at Babolat apparently felt there was more power and accuracy to be found in their racquet and so after careful analysis they moved the sweet spot juuust a hair closer to the top of the head and changed the string configuration making it slightly denser in that relocated sweet spot and… viola! The same control with even more power than before. If your game involves more than brute force attacks you’ll want to give the Pure Drive serious consideration. Relocated sweet spot for more power. 100 square inch head with 16 x 19 string pattern. Rock solid synthetic grip keeps you in control when shaping volleys. 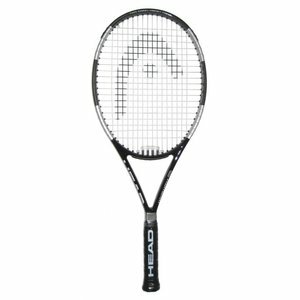 Surprisingly affordable world class racquet. Where Wilson held serve on the world’s tennis courts a generation ago Babolat is now widely considered the state of the art. And for good reason. While big hitters will always have a place in tennis most players realize they need an arsenal that includes a variety of different shots if they’re to be able to compete effectively. The Babolat Pure Drive will help you develop that well-rounded game perhaps more effectively than any other racquet on the market today. It allows you to play situational tennis wherein you’re able to adapt your game plan to the opponent instead of just relying on your 140 mph serve to blow everyone away. Spin control and ability to direct your volley is better than ever. Balance and control are generally excellent. Grip is firm and comfortable. The relocated sweet spot increases power without sacrificing finesse. Maybe the best looking world class racquet out there. Includes built in sensors that link to a smartphone app and allow you to analyze your performance. Data from those sensors is not always useable. The Pure Drive has been a best seller for years and the latest iteration won’t do anything to break that winning streak. If it has a weakness it is, for us anyway, the seemingly pointless embrace of wireless technology that doesn’t really do anything to enhance the racquet. And if anything perhaps even detracts a bit from the company’s otherwise stellar reputation. Still it’s not a deal breaker because it doesn’t detract from performance in any way. Before you can select the right racquet you’ll need to know your options. Here are the main aspects of both construction and performance you’ll want to take into consideration before purchasing your next tennis racquet. Tennis racquets today fall into 3 general categories based on ability. They are the “Beginner”, the “Tweener” and the “Advanced”. As you can see from the above reviews these categories drive the construction and performance of every worthwhile racquet on the market today. The Beginner Racquet – Beginner tennis racquets typically have the largest heads of any racquets. Those large heads are necessitated by the need to provide a larger ‘sweet spot’. 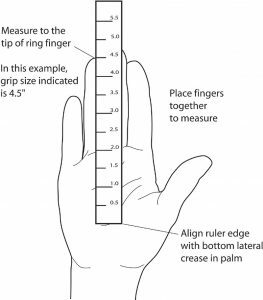 This larger sweet spot compensates for the beginner’s tendency to make less than perfect contact. Beginner racquets are also typically lighter and cheaper. The Tweener Racquet – This type of racquet features a bit more weight and a head/sweet spot combination that’s a bit smaller than that on the beginner’s racquet. Basically it’s tighter and tougher and will yield more aggressive volleys when wielded properly. The Advanced Racquet – These are typically the heaviest racquets out there (though “heavy” is a relative term) with the smallest heads. The manufacturer assumes the person using this type of racquet has figured out their mechanics and is now concentrating on delivering more powerful, more accurate volleys. A newcomer to tennis who jumps straight to an intermediate or advanced racquet is going to put themselves behind the 8 ball and extend the amount of time it takes to work out proper mechanics. It’s like learning to drive in a Maserati. It doesn’t make any sense to jump right in and spend several hundred dollars on a top of the line, advanced racquet if you don’t even know if you can hit the ball over the net. 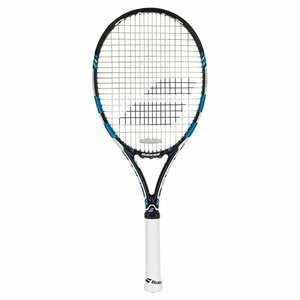 You can get a perfectly good beginners racquet for about $100 that will allow you to decide whether you actually like the game and have an aptitude for it before you go all in. If you are just beginning your relationship with tennis you’ll want a racquet that will cover for your mistakes. An oversized sweet spot will do just that but it also means a larger head which makes the lighter racquets a bit unwieldy from a physical standpoint. Still, if you’re just starting out that’s not all that important. A standard adult racquet is 27 inches long. Although you can find racquets out there that are an inch or 2 longer you’ll want to steer clear of them when you’re just starting out because they can be difficult to control on ordinary shots. Beginners will want a lighter racquet until they get used to wielding this new instrument. Really what you’re doing during your early days as a tennis player are getting your body accustomed to the new motions, court positioning, mechanical basics and the like. Your racquet shouldn’t exceed 11 oz until you feel entirely comfortable on the court and have the basics down pat. Unless you’re buying a $25 cheapo at the big box store you should be able to give your racquet a try before you plunk down $100, $200 or more. When you do you’ll want to look for a few key things. Does it fight back when you make solid contact? Does it vibrate when your shot is just a bit off? Is it easy to wield and feel like an extension of your arm? It is too light or too heavy? 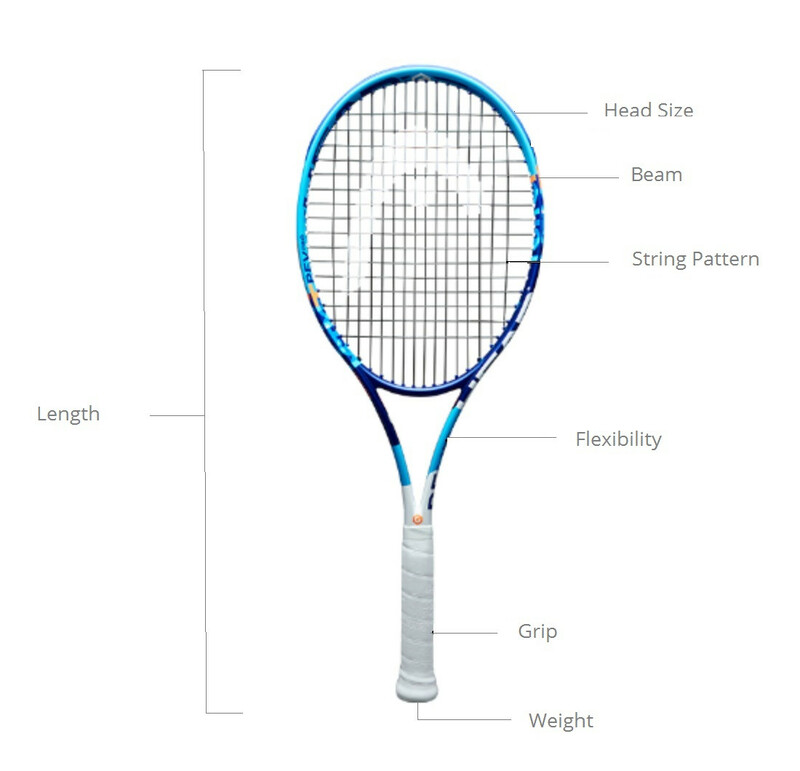 The Head – The head of the racquet is that large oval-ish part that contains the strings. Heads are typically anywhere from 95 to 110 square inches in size. In the most general terms a larger head will produce more power. But that truism can be undermined by the weight of the racquet along with the type of strings and the way they are strung. For beginners the most important aspect of the large head is that it provides for a larger sweet spot. The Strings – The strings are where tennis really happens. They’re where the ball contacts the racquet and the racquet responds. Beginner racquets typically come pre-strung but the best tennis racquet will leave the strings up to the racquet owner. Once you know more about your own game – its strengths, weaknesses and tendencies – you can start stringing your own racquets to accommodate. The Shaft – The shaft of the tennis racquet is not what it once was. Previously it had been a single post running between the handle and the head. Today it is split into 2 legs forming a V-shape that help provide stability. Without this V-shaped shaft the face of the racquet would twist more any time you hit a shot that was even slightly off center. 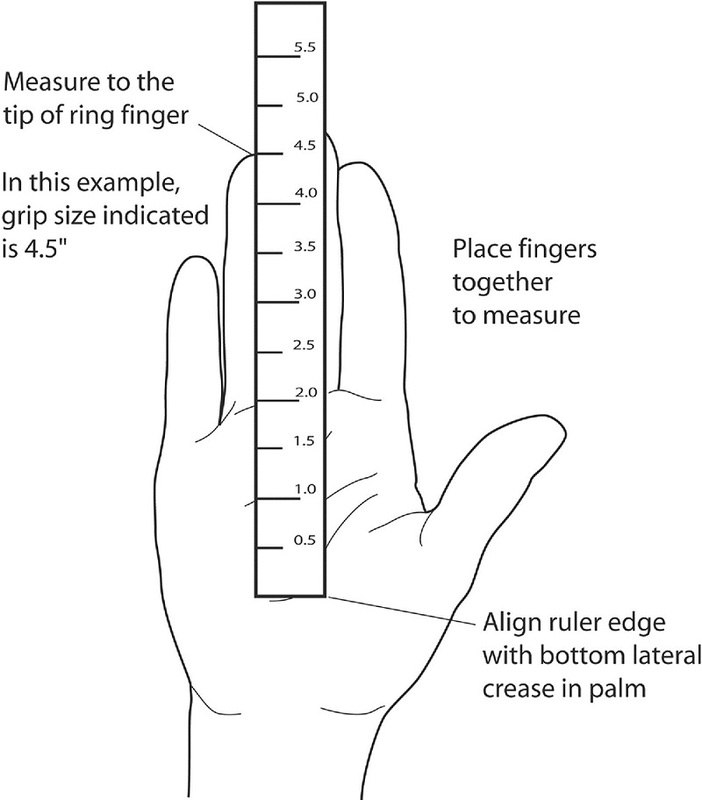 The Grip – The grip is vitally important to your tennis experience. The best tennis racquet will have a grip that provides a comfortable, solid hold even when your hands are sweating. When choosing a racquet it’s important to select a grip with the right circumference to match your own grip. Graphite – Graphite is a lightweight carbon based material that has proven itself excellent for tennis racquets. It’s durable and lightweight and a pure graphite frame will be fairly rigid. If you want a bit of spring and fewer vibrations in your graphite racquet get one where the graphite is mixed with fiberglass, titanium or tungsten. Aluminum – Aluminum racquets were quite the thing for a while. And though they can still be found they’ve taken a back seat to graphite and other materials. Aluminum is typically used by discount racquet manufacturers as a low-cost alternative to graphite. Kevlar or Boron – These materials have a lot in common with graphite although there are also some real differences. These materials tend to be stiffer and produce more by way of vibrations on less than perfectly aligned shots. Beginners will likely want to steer clear of these materials. Grip Materials – Commonly used grip materials include leather, rubber, neoprene and more. Synthetic materials like neoprene can be given a textured surface that makes it easier to get a grip than leather or rubber. Strings – Most strings today are made of nylon although there is plenty of variation in quality within the realm of nylon strings. Polyester is another fairly common string material and can be combined with nylon or used on its own. Natural gut strings are exceedingly rare these day and are expensive to boot. 50 or 60 years ago everyone played with pretty much the same type of tennis racquet, although there were certainly variations in the quality of the woods used as well as in the strings. Today however tennis racquets are available that span the material and design spectrum and there are 3 distinct tennis racquet classifications. Our advice would be to start out with a good beginner racquet like one of the ones reviewed above and gradually work your way up to the best tennis racquet after you’ve proven to yourself your commitment and abilities.